Before going to Vienna, I had googled nearby cities/countries that would be worth a visit without wasting excessive time getting there. Bratislava seemed to stand out due to the fact that it was just an hour bus ride away. I never imagined going to Slovakia. Yet the explorer in me screamed YES, WE REALLY SHOULD! For just 12 Euros per person we got return tickets to Slovakia. A different country without passing through immigration seemed puzzling. On the contrary, when we travel from Singapore to Malaysia we pass through a strict immigration process. This left me a bit dumbfounded. As a precautionary step, I still took my passport with me. You never know when you need your passport. I was excited to see the Old Town of Slovakia. From Tripadvisor, I knew there wasn’t much to do. That’s precisely why we chose it. 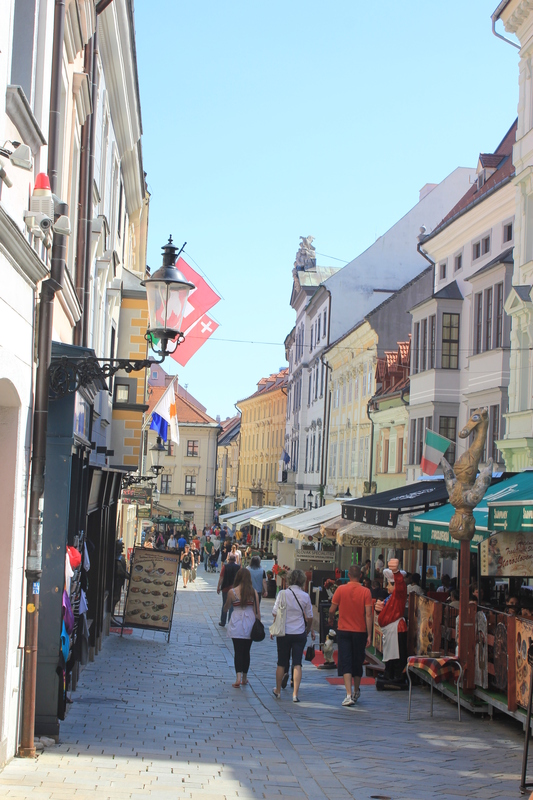 As I pictured quaint lanes of Bratislava would be perfect for our third year anniversary. It was just so different from our past two (Brussels and Zurich). The lanes were as quaint and picturesque as I had conjured up in my mind. We walked around for a bit and thought we must find authentic food to feast away on. 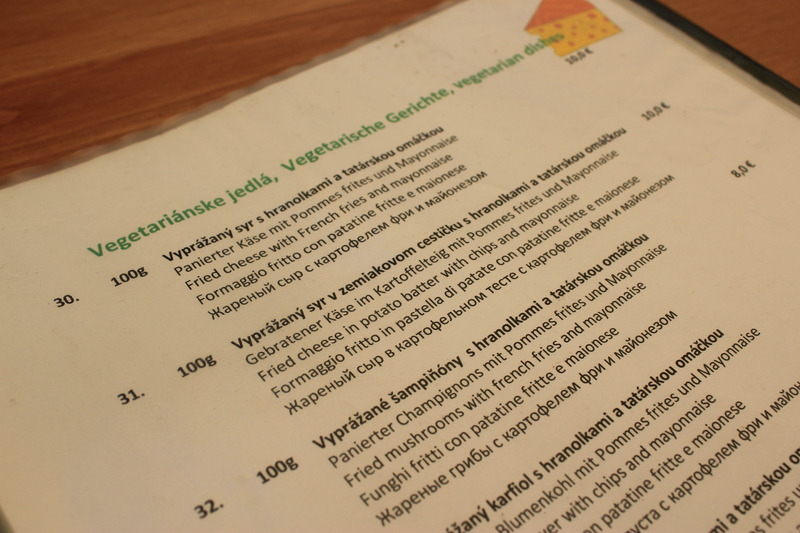 Although saying that, vegetarian food can be tricky while travelling. There were friendly waiters throughout the lane who ushered people into the restaurants. One menu caught our eye as it seemed perfectly divine. 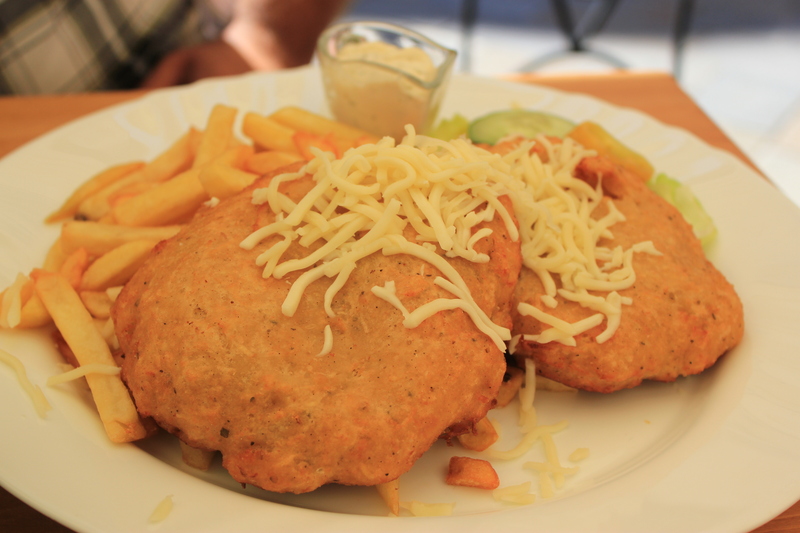 Potato Battered Cheese Cutlets. OMG OMG OMG! I was so excited to try it. I was even more thrilled when it arrived at our table! I’m such a foodie tourist, it’s almost funny. Food can definitely be a highlight of a holiday if its worth photos and commentary! My husband was equally taken in by this. We couldn’t wait to indulge in the cheese. 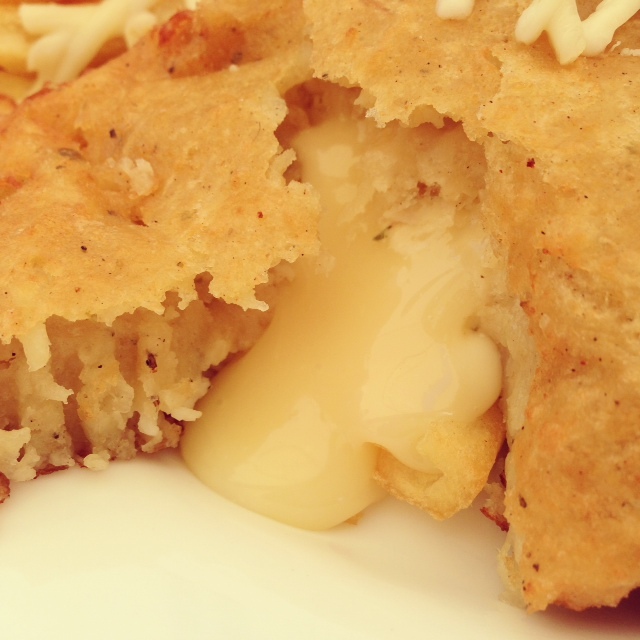 The cheese was oozing out… It was divine. The food was the highlight of my trip. I would love to eat these bites of heaven again sometime in life. 🙂 After our lunch we strolled around the whole town. It’s a small town and it’s suited for pedestrians. 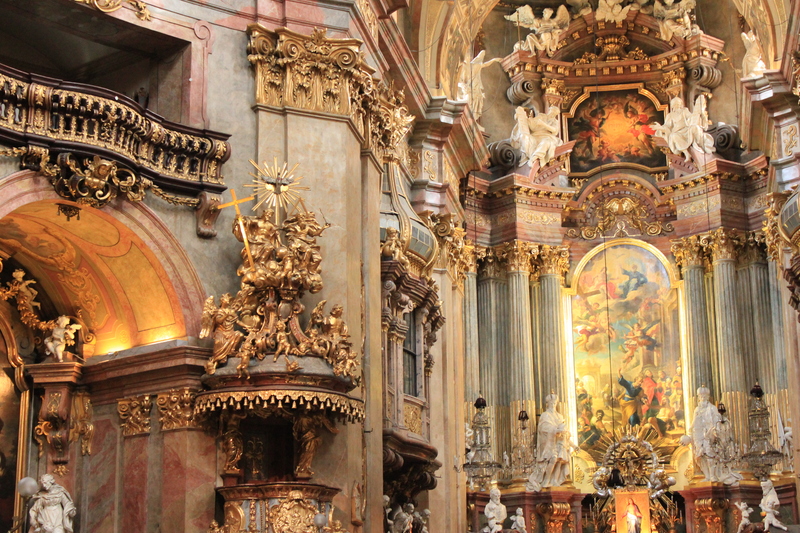 We walked into a church which was not comparable to the churches in Vienna but was still nice. 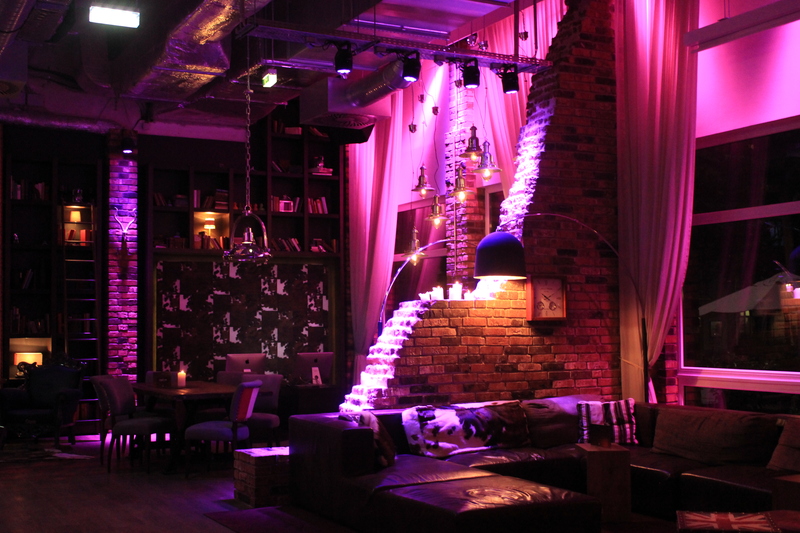 Beautiful– that’s definitely a word that encapsulates the ambience of Vienna. The city resembled a postcard. It was surreal. I felt as if I was walking through a magazine with edited photographs! 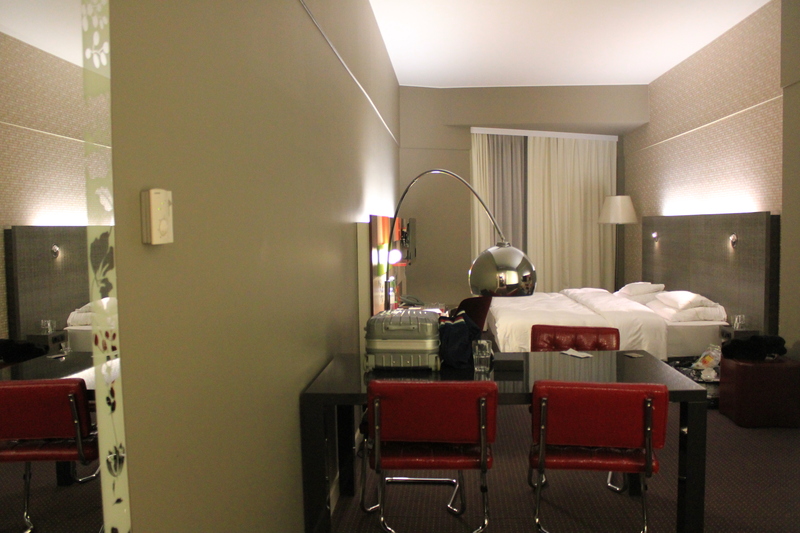 We stayed in Pentahotel after thorough research on trip advisor. We wanted a good nights sleep with a budget price. In addition, it was accessible to a nearby train station. However my only complaint would be that it was a half an hour walk to the city center and this was misrepresented to us. We were told it was a 10 minute walk – unless of course the guy was sprinting in a marathon. It was contemporary and clean. I was definitely happy with it. A different angle of The Belvedere. It was just breath-taking! And the walk there also took my breath away. It was so far! DO NOT TRUST AUSTRIANS when they say it’s a 5-10 minute walk. I am really skeptical as to what speed they walk. A random church that we passed by as we walked and walked. Inside St. Peter’s Church. Divine! 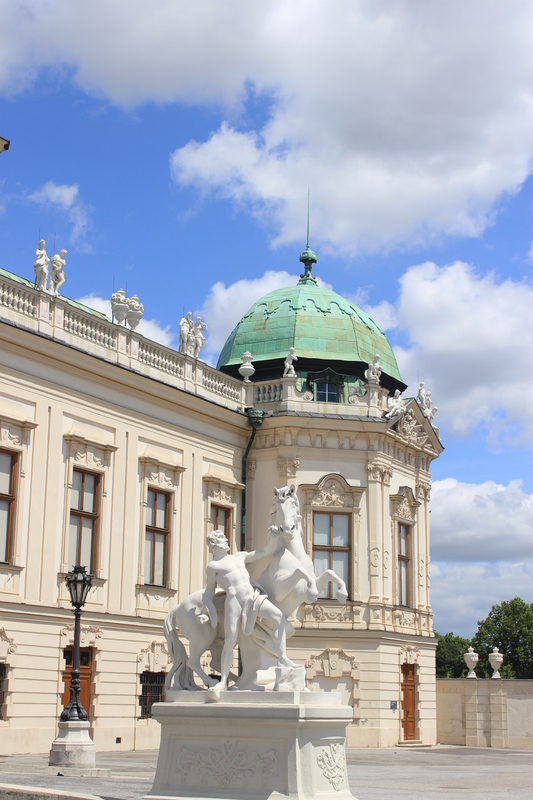 The Belvedere Palace- we almost didn’t end up going which would have been a real shame. It is simply gorgeous as you can see! 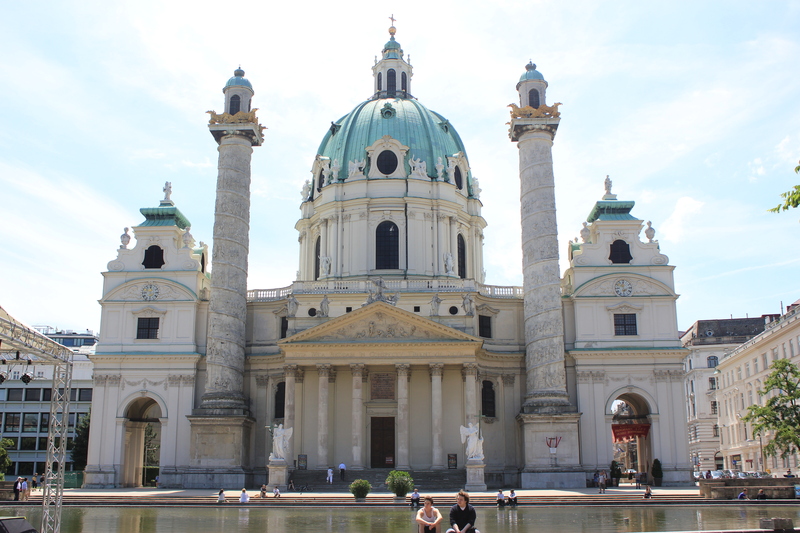 You must go there to get a feel of Vienna. St. Peter’s Church – sometimes people feel if they have been to one church they have been to all. Fair enough. 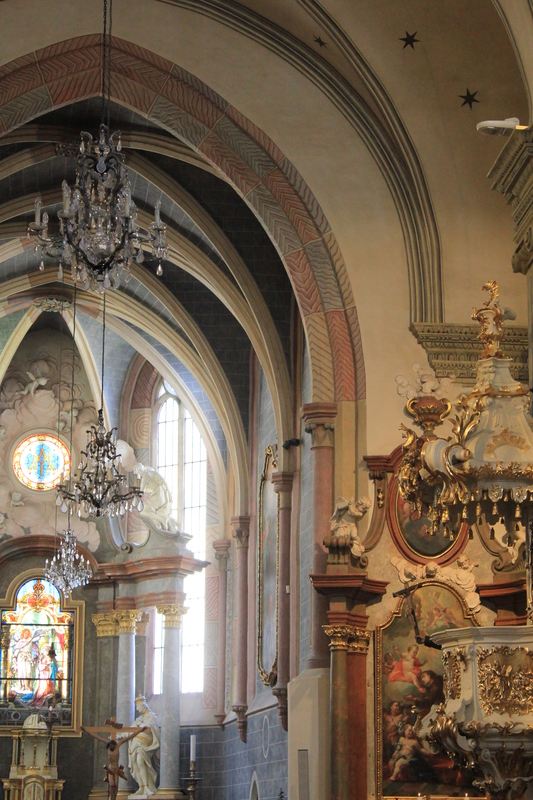 But this church had gorgeous architecture. It’s something worth visiting. 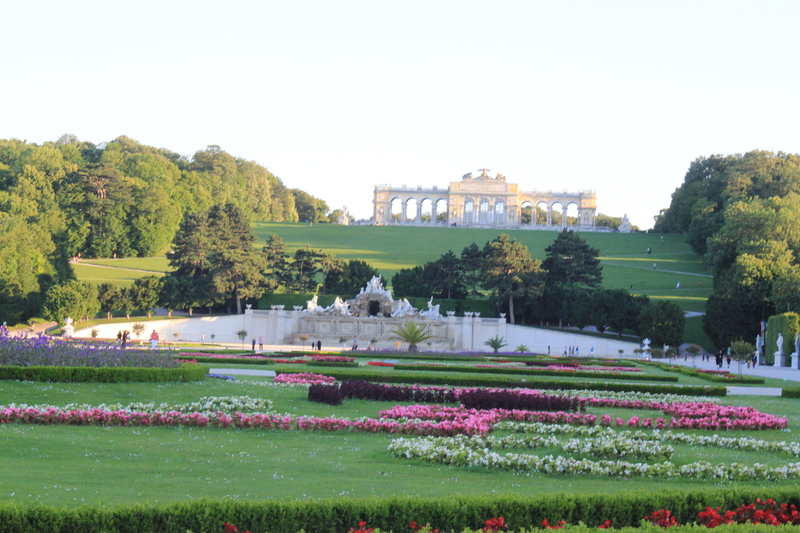 Schonbrunn Palace- I absolutely loved the flower carpet. It was gorgeous! 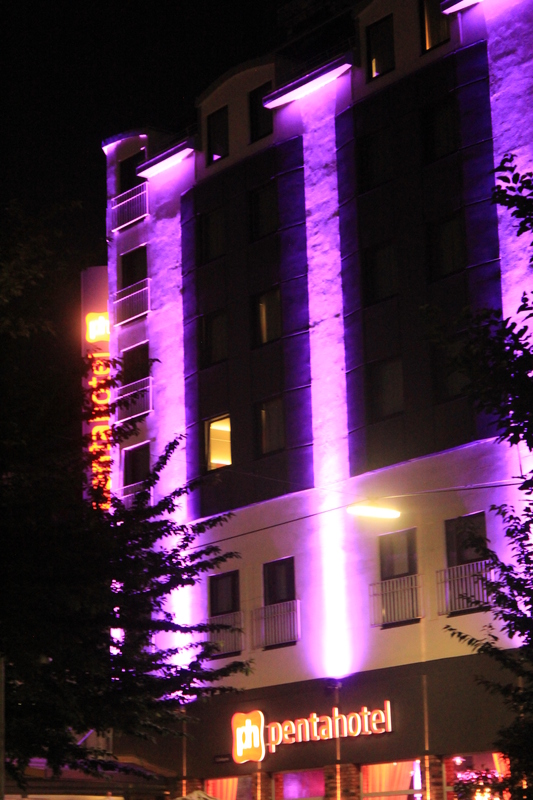 The colors were vibrant adding to the picturesque beauty of the whole place. 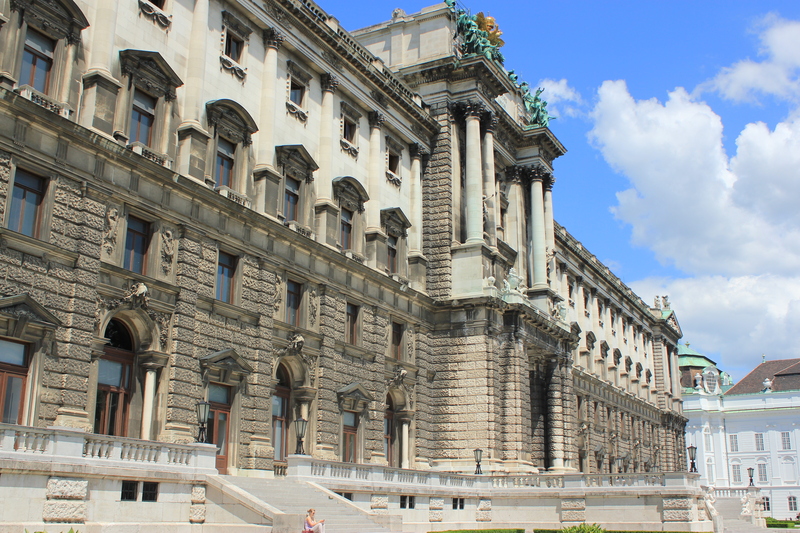 The Imperial Palace (Hofburg). It’s a huge square which has the Spanish Horse Riding School as well. A beautiful place to walk around. Stephansplatz – the ultimate place for tourist. You can get souveniers and good food there! 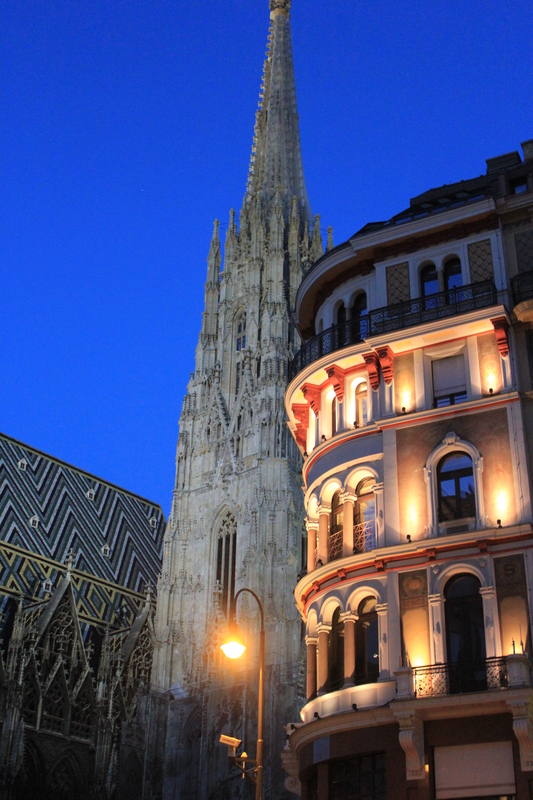 It’s best to go here at night to feel the city-life of Vienna. We go lucky as the 13th night was the Fashion Night of Vienna. There were street dances to entertain the crowd and freebies given at every corner. It was fantastic! It was really a good holiday. Our second day in Vienna was only half a day as we hopped over to Slovakia to celebrate our anniversary. Slovakia deserves an entire blog post as well 😉 I’ll be posting up some stuff real soon! Travelling is simply fulfilling. It makes you feel alive. It makes you get out of your comfort zone and have a different ontological experience. It is a must. 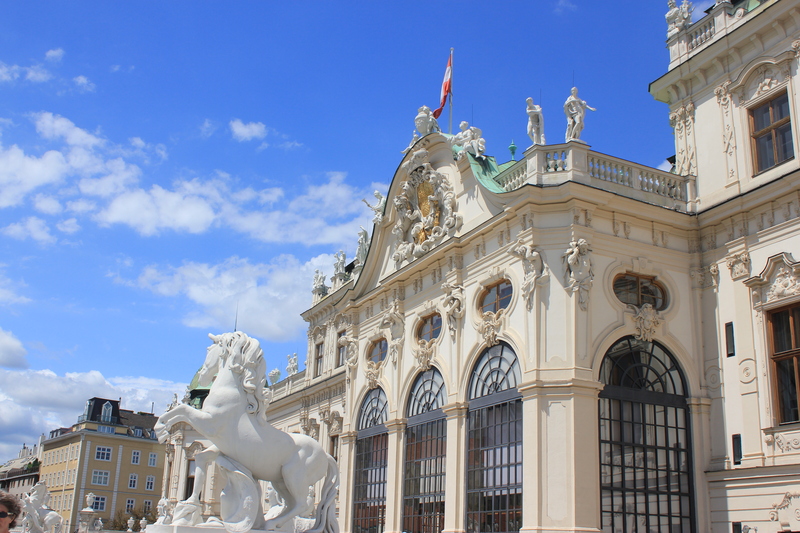 Our next destination is Vienna! Stay tuned – will be posting all about it in the next few weeks. For now if there are any suggestions, or must-sees do drop me a comment!